As I sit here typing, we currently have a winter storm warning calling for 6-10 inches of snow. Again. Oh Spring, Spring. Wherefore art thou Spring? Truthfully, I am a snow lover. It makes me giddy. Positively, ridiculously giddy. But I love spring also and she’s been teasing us with brief appearances. I’m so ready for spring and warmer temperatures. When I went looking for the recipe earlier this year, I came across a poem I wrote about one wonderfully snowy winter we were having and decided I’d share it with you as it describes our current winter as well. And because I’m all about sharing the love (handles), you’ll find the recipe below. 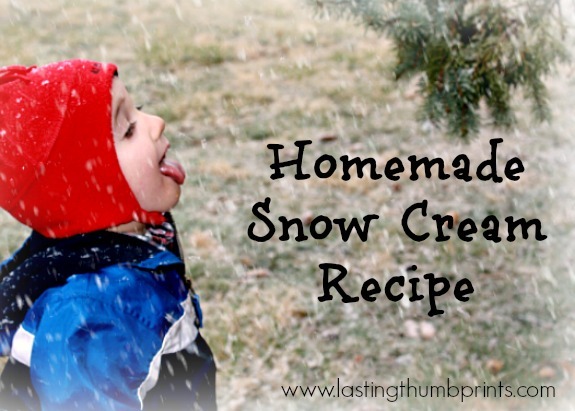 We’ve been enjoying this easy snow cream recipe for four years now. This recipe is so simple. And after spending five hundred tedious joyful hours getting little people dressed and undressed to play outside in the snow, I need something simple. 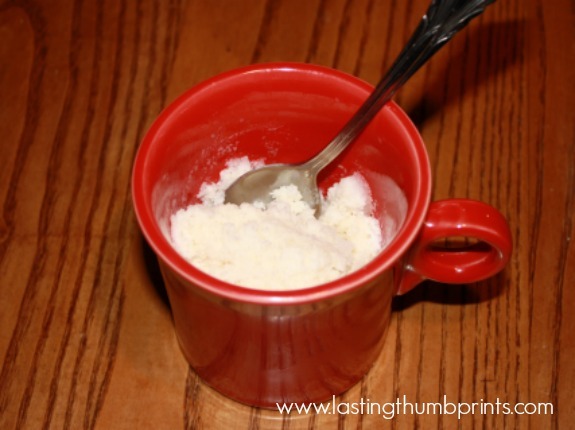 Put the snow in a large bowl and add the vanilla and condensed milk. Mix by hand until all ingredients are combined. *Note – We increase the amount of snow to 12-14 cups. We add the extra snow because we found the original recipe to be too sweet and it also didn’t make enough for my snow cream lovin’ family. I have also frozen leftover snow cream and made milkshakes with success. Yum! This will probably be our last snowfall of the season and it will be time to pack up all the winter gear and memories of a busy, yet good winter. Do you have any favorite winter traditions? We’d love to hear about them!